We must confess to a vested interest with today’s post. Rue Bretonneau is where we call home. We are proud to live on a street named after such a great man. His many discoveries formed the basis of scientific medicine. His appointment as Chief Medical Officer at Tours resulted in the prestigious School of Medicine which influenced the evolution of modern medicine. During epidemics he examined patients from dawn till dusk taking careful observation of each one. He performed autopsies on three hundred cadavers. Doctor Bretonneau was born in Saint-Georges-sur-Cher near Amboise and was buried in Saint-Cyr-sur-Loire in Tours. At the funeral, the President of the Academy of Medicine said: ‘Pierre Bretonneau acquired so much fame that one could write to him from the most remote country: To Pierre Bretonneau, in Europe’. Letters also arrived from all over the world addressed to The Doctor at Tours. Today he is known as the Father of Medicine. A postage stamp was issued by La Poste in 1962 to celebrate the centenary of his death. The Faculty of Medicine in Tours has a large bronze medallions representing Doctor Bretonneau. His bust is in the city hall in Saint-Georges-sur-Cher. Doctor Bretonneau came from generations of physicians. His father and grandfather were appointed by successive Chatelains of Chenonceaux to provide free care to the poor of the four parishes around the Chateau. His father, Pierre Bretonneau, was a practising surgeon as were his uncles. Among his father’s rich private patients was Madame Louise Dupin, chatelaine of Château Chenonceau. As a boy, Pierre Bretonneau was educated with the children of the Château. In 1792, when Louis XVI and Marie Antoinette were arrested Louise Dupin left Paris for Chenonceau. With her was her step-granddaughter Madeleine-Suzanne Dupin, her step-great grandchildren René-François and Auguste-Louis (sons of Madeleine-Suzanne) and her grand-daughter Marie-Thérèse Adam. Madame Dupin was the second wife of Claude Dupin. Their only child was a huge disappointment. Claude had to sell assets to honour his son’s gambling debts. He became such a problem that Claude Dupin sent him away from France. Before boarding a ship of the East India Company, he told his mother he had a four year old illegitimate daughter, Marie-Thérèse Adam. Madame Dupin brought her up in Château Chenonceau. They were devoted to each other. Madame Dupin had a theatre built on the first floor of the Chateau. Many of her family members acted in La Comédie-Française in Paris. Louise Dupin, charming, beautiful, intelligent and highly educated, resided over one of the most respected literary and scientific salons of her age. Famous guests included Voltaire who called her ‘the goddess of beauty and music’. She appointed Voltaire’s rival, Jean-Jacques Rousseau as her private secretary to help her write a feminist tract. He lived in the Château from 1745 to 1751. In 1795 Bretonneau was seventeen. According to legend, he showed such promise, Louise Dupin sent him to Paris and paid for him to train as a doctor. He was enrolled in L’École de Santé. He was an excellent pupil. In 1798, age twenty, he published a paper in Latin on the lymphatic glands. This was the Paris of the first French Republic, the year of street battles between French Revolutionary troops and Royalist forces. This was the year La Marseillaise became the French national anthem. In 1801, when he was twenty-three, Doctor Bretonneau married Madame Dupin’s grand-daughter, Marie-Thérèse Adam, twenty years his senior. She was tall, blonde with blue eyes, witty and cultivated. It was a love match. In 1808 he and Marie-Therese returned home. He was appointed Health Officer, a Post he held for fourteen years. They lived in La Renaudière in Chenonceaux where he had a laboratory. He was the mayor of Chenonceaux from 1803 to 1807. Marie Therese died in Chenonceau age seventy-seven. Their house is now a hotel. Pierre Bretonneau was more than a country doctor. He was a gifted handyman, a wine grower, horticulturist, bee keeper and manufacturer of thermometers and capillary tubes. He travelled miles on horseback by day and by night looking after his patients. In 1815 he was appointed chief physician of the hospital at Tours. He was thirty-six. The Hospital is named after him. In 1856 Doctor Bretonneau’s second marriage caused a scandal. He was seventy eight, Sophie Moreau was nineteen. It was a marriage in name only. His intentions were entirely honourable. Sophie was his illegitimate daughter. He married her to make sure she inherited his estate. 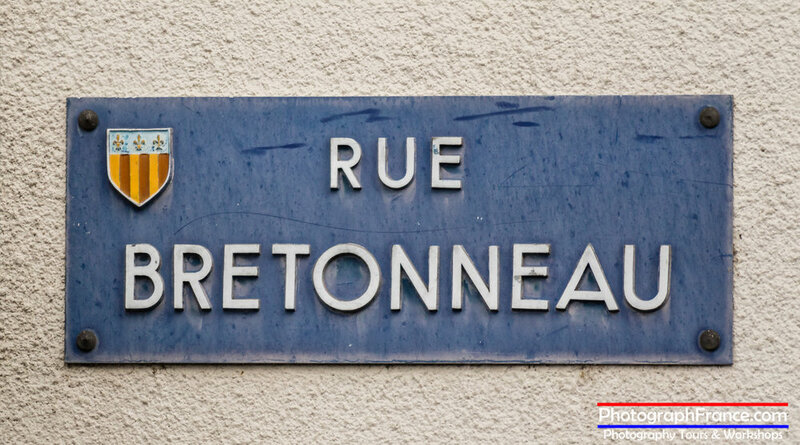 Dr Bretonneau was very highly thought of by Professor Robert Debre (1882-1978), Founder of modern paediatrics, after whom the hospital in Amboise is named.